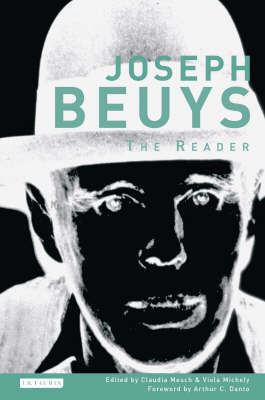 Our reading for the week was the Joseph Beuys: The Reader, edited by Claudia Mesch and Viola C. Danto. The book is a collection of essays on hugely influential, and often controversial artist/performer Joseph Beuys. A lot of the symbolism and, really, absurdity that we associate with performance art today can be largely credited to him. His installations, too, might seem absurd to the casual viewer. But, Beuys always had a purpose. Every material used, and how it was used had a meaning. Modern, postmodern, or whatever, Beuys did the kind of things in performance and art that we might role our eyes at today because it seems cliched. But, it’s cliched because he did it, essentially, first. It’s the old art adage, the first person to do it is a genius. Everyone after that is an unimaginative copycat.